Cutting a cake is all about happiness and by gifting it to your loved ones, it could be a sweet way to express yourself. Exquisite Plum Cake specially packed to create the happiest moments with your loved ones. 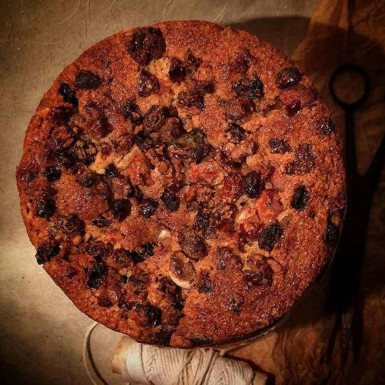 The Christmas Eve is incomplete without this dark Exquisite Plum Cake, a delicious cake loaded with nuts and dry fruits. So, buy this super-delicious cake for the very special occasion of Christmas or other special occasions, by adding it into the cart. Share this fantastic delight with your loved ones and create beautiful memories.